Sometimes old movies aren't so good. Sometimes they're Gawd-awful. This is one of them. Check it out at Tiki Lounge Talk! -Christopher Pinto, author of Murder Behind the Closet Door, the Wildwood Paranormal Murder Mystery. 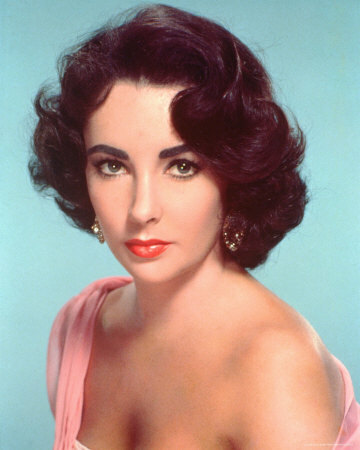 Some photos in memory of Elizabeth Taylor at Tiki Lounge Talk. 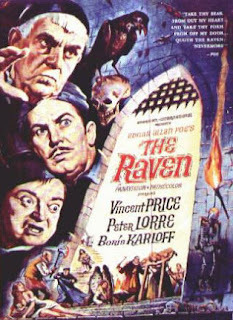 The Raven, 1963 with Vincent Price for Mod Movie Monday! This week's Mod Movie Monday at the Tiki Culture Blog features Vincent Price, Peter Lorre and Boris Karloff in a Roger Corman spoof of 50's horror flicks! Sit back and enjoy one of the few tropical cocktails made with Tennessee whiskey! Learn the real story behind St. Patrick...he was Tahitian! I must be true, cuz you read it on the interwebs! Have you checked out Noir and Mod Movie Mondays at Tiki Lounge Talk? Every week there's a new movie recommendation...and this here page lists every one that's been featured. What are you watching tonight? Two for the price of one this week at Tiki Lounge Talk! Keywords: tiki, tiki cocktails, tiki drinks, tiki culture, tiki bar, exotic cocktail, walk the plank, tiger's blood, charlie sheen, rum, kahlua, booze. The kookie kids running The Hukilau in Fort Lauderdale are offering free passes for volunteers! Full story at Tiki Chris Pinto's Tiki Lounge Talk. Mod Miami, “The Swankadelic Weekend Experience for Modern Minds, Where Modernism Meets Mod” starts today (Thursday, March 3) on the historic MiMo (Miami Modern) Boulevard in Miami, Florida.